Cosmos Condos Vaughan Sale is starting from April 23, 2016, Register Now to get Guaranteed Access!!! Welcome to Cosmos Condos Vaughan, a brand new condo project by Liberty Development Corporation, great investment potential in Vaughan new downtown, a brilliant master-planned community with a spectacular park at its centre, futuristic architecture, ultra-modern suites and state-of-the-art amenities. A community just steps to the Vaughan Metropolitan Centre Subway Station, close to York University, Vaughan Mills, easy access to all major highways, located at the southwest corner of Highway 7 and Maplecrete Road, consisting of 4 proposed towers ranging from 25 to 35 stories designed by Kirkor Architects + Planners as well as a 12 story office building, a landscaped courtyard/park and retail that will be implemented in three phases. Podiums will range in height from four to 10 stories. Cosmos Condo first tower will consist of a proposed 35 story residential tower with a green roof and an outdoor amenity space. There will also be a 12 story office building with a green roof and a four story podium that will have ground floor commercial uses. There’s also going to be a proposed courtyard/park in phase one. Phase two will consist of two 25 story residential towers with a green roof and a five story podium. Phase three will consist of a 10 story residential/retail podium with a green roof and also a 35 story residential tower. The mixed-use proposal will have 1,328 residential suites with a total of 100,663 square meters of residential space, 3,300 square meters of retail use space and 20,207 square meters of office use space. 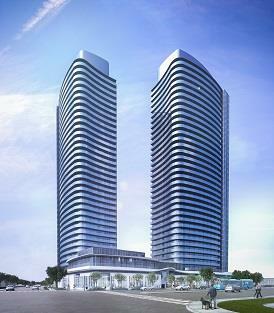 The Cosmos Condos Vaughan is coming soon. Registration is open now for guaranted VIP Broker pricing and incentives. If interested Must Register using the attached form in order to gain access of prime units and VIP Broker incentives, applications will be considered on first come first basis. For more information about building features, Floor Plans, and VIP Broker Price list Contact KALEEM @ 416-992-9860.